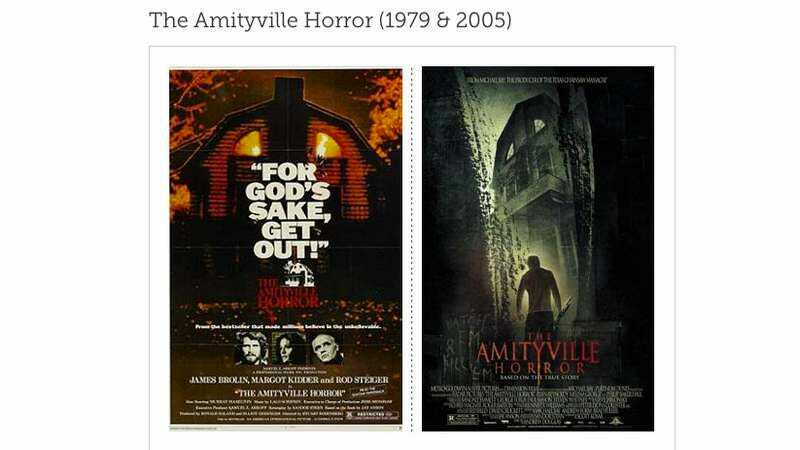 The graphic designer behind the blog Retinart created a four-part series pitting original movie posters against the posters for their remakes. The series looks at 50 movies for a total of 100 posters, focusing on the theatrical versions of the posters shown on Wikipedia. Following each side-by-side comparison, the designer provides a short but thoughtful analysis of the design strengths and weaknesses of each version. In some cases—as with the thriller Insomnia—the remakes manage to outdo their predecessors; in others, the originals prevail. The writer observes that in the case of most of the horror movies on the list, the remakes are usually better than the originals.